Does anyone know where this is? Per the signs on the building, it appears that O.D. Cope & Co. dealt in real estate, insurance, bonds as well as antiques! The photo appears to be from the 1940's. 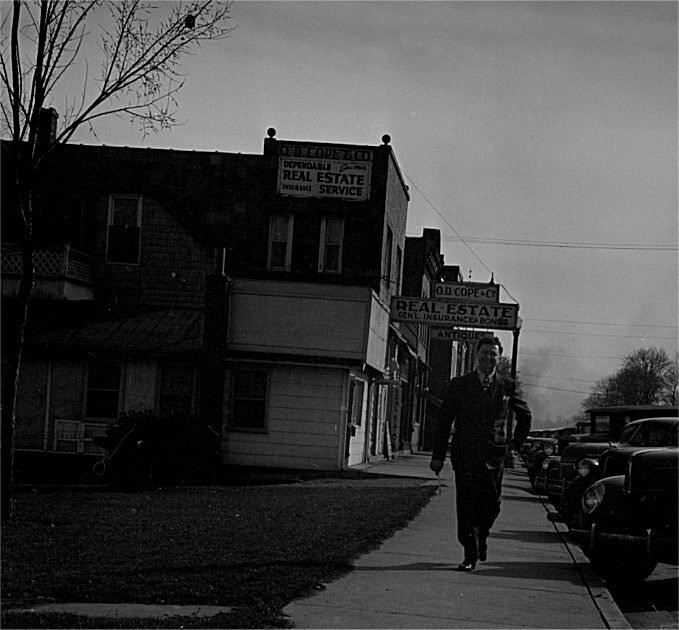 Thanks to Kurt McCrary who identified this location as most likely being St. Clair , Michigan. Omer David Cope sold real estate real and insurance at several locations in St. Clair during the 1940's. He was also a notary. What is this? It is made of metal and measures approximately 3.75" long. A magnet does not stick. The object does not appear to unscrew in any manner nor does anything appear to be broken or missing. There is the number 7 stamped at one end. My guess is that is has something to with sewing but I really have no idea! Thanks to Broncoitis for identifying the mystery item as an obturator for a tracheostomy tube. The number 7 refers to the internal diameter of the tube. Yuck! 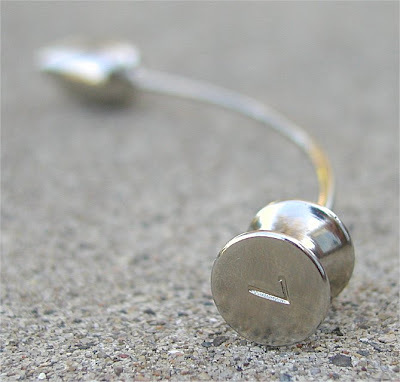 To see a picture of an obturator that looks just like the mystery item, please click here. Does anyone know where these two bridges are? The large bridge appears to be made of concrete and should still be standing. The smaller steel truss bridge may have been for pedestrian use. The photo is from the 1920's. 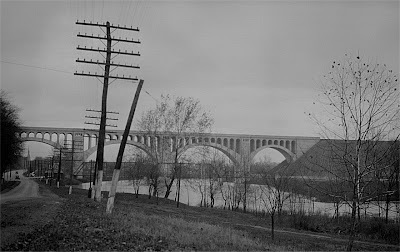 Thanks to Mike for identifying the large concrete bridge as the Big Four Bridge in Sidney, Ohio. The bridge opened in 1924 and spans the Great Miami River as well as Main Avenue. Further research indicates that the smaller truss bridge is the Gearhart Road Bridge. The large bridge is still used by the railroad but the small bridge is closed to all traffic. If you would like to learn more about the Big Four Bridge or the Gearhart Road Bridge, please click here. Does anyone recognize this location? The building on the corner appears to read "Moss House" or "Noss House." Despite the Model T Ford in the foreground, the photo is actually from the 1930's.